That’s right. 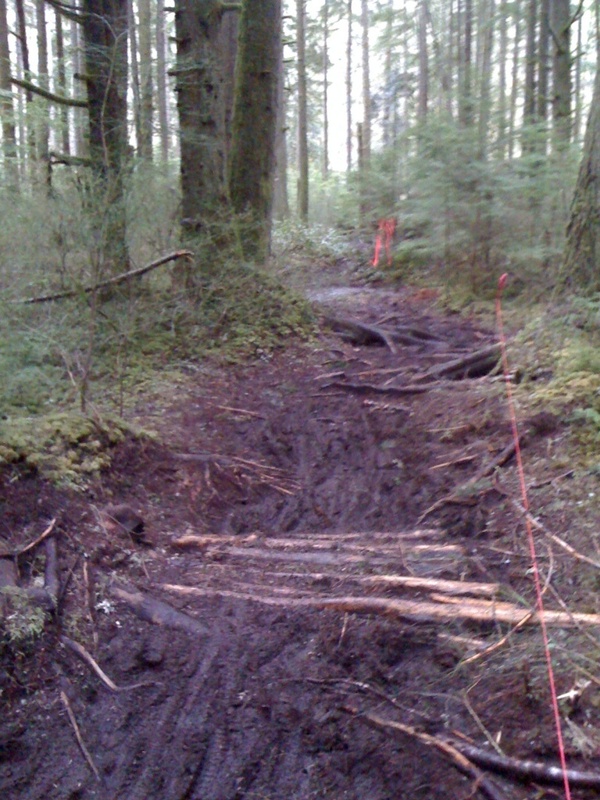 Soon there will be mud-free mountain biking all the way from Grand Ridge to Duthie Hill. Well, maybe not mud-free, but definitely less mud. The long-awaited Grand Ridge bridge-over-muddy water is nearing completion, courtesy of the Washington Trails Association. The bridgework across the notoriously muddy bog just off the Issaquah-Fall City Road now spans about 30-40 yards. 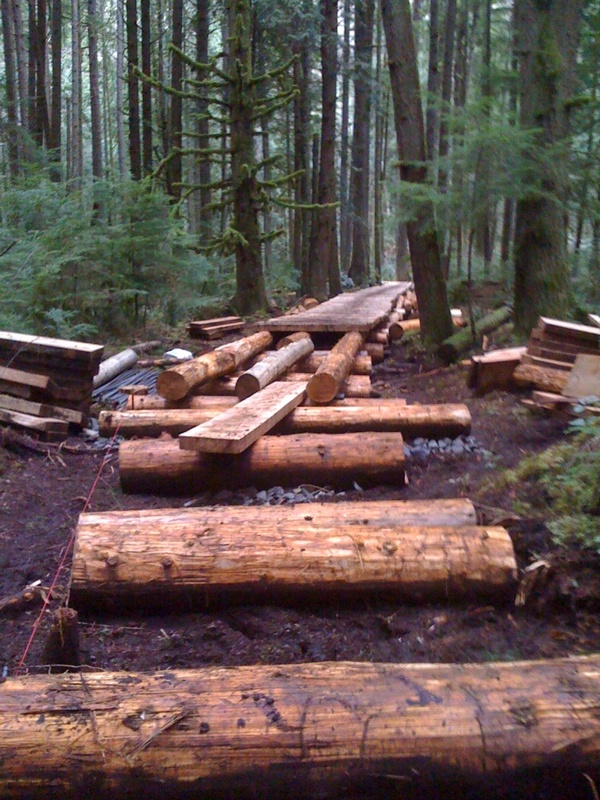 With about the same amount left to go, it won’t be long before XC riders have no excuse not to throw in a skills session at Duthie in between spins up the Ridge (and vice versa, freeriders). For trail beta on Grand Ridge, read my previous posts, Meet Me on the Climb: Winter Riding at Grand Ridge and Slip-Sliding Down Grand Ridge. For directions to the Grand Ridge trailhead, see below. High Point Exit Directions: (If you want to access the climb ASAP, park here.) From Seattle, take I-90 to the High Point exit (exit 20) and turn left under the freeway to park in the small lot on the north side, or turn right to park on the road on the south side along with all the Tiger Mountain hikers. On your bike, ride through the north side lot and through the gate to access the railroad grade trail. After a short spin, start looking for the first obvious singletrack trail on the right that turns upwards. Welcome to Grand Ridge. Of course, you can always start at Duthie Hill (27101 SE Duthie Hill Road, Issaquah, WA 98029). This entry was posted in Biking, Issaquah trails, Washington (Western) and tagged duthie hill, Grand Ridge, Issaquah, mountain bike, mountain biking, Seattle mountain biking, Washington Trails Association, WTA. Bookmark the permalink.